Sprinkle in some loved ones. Viola you’ll have a, “Make A Pizza Party” guaranteed to deliver life –long memories for all who attend. 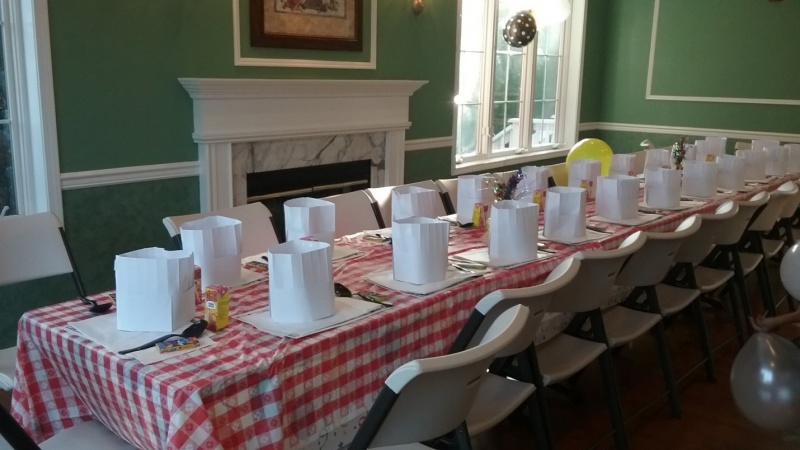 Chef Carl does a remarkable job of making the whole experience very enjoyable for the children, parents and guest. For over twenty-five years his parties have been the subject of many New Jersey newspaper and magazines articles and have appeared on Emmy award- winning TV shows such as GOOD DAY NEW YORK. His party place is in Saddle Brook NJ but the Manhattan, Brooklyn and Queens customers will enjoy the party’s right in their own apartment, house or venue. 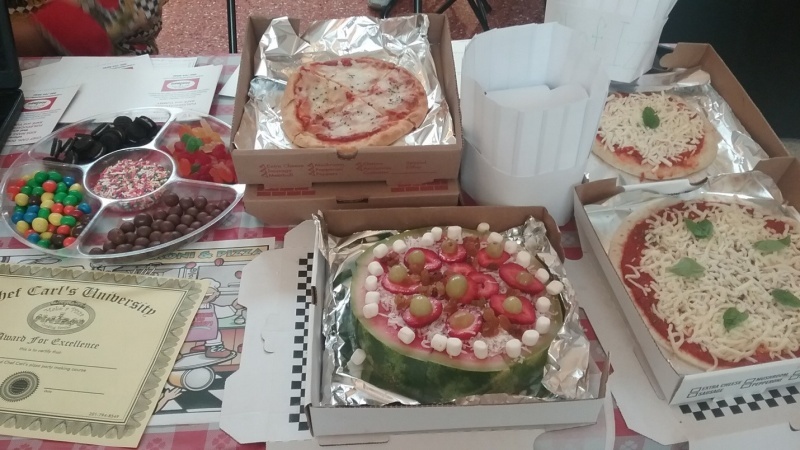 Chef Carl’s Make A Pizza Party offers three party options one grander than the other and all delivered to your apartment, house or venue personally by Chef Carl. The parties are fun, easy and yummy! (Kosher or Gluten –free pizzas are available by request for an additional fee). 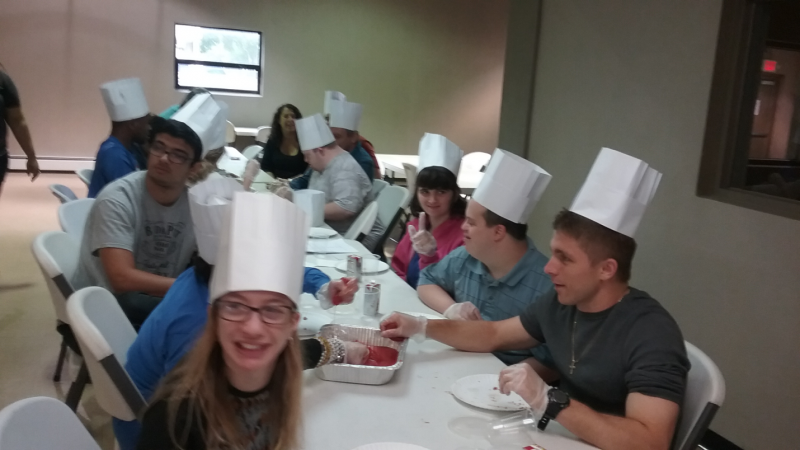 Pizza Making Tools: Chef Carl and his assistant(s) will provide pizza dough ,sauce ,cheese ,paper ware, table cloths, placemats and chef hats for each child. 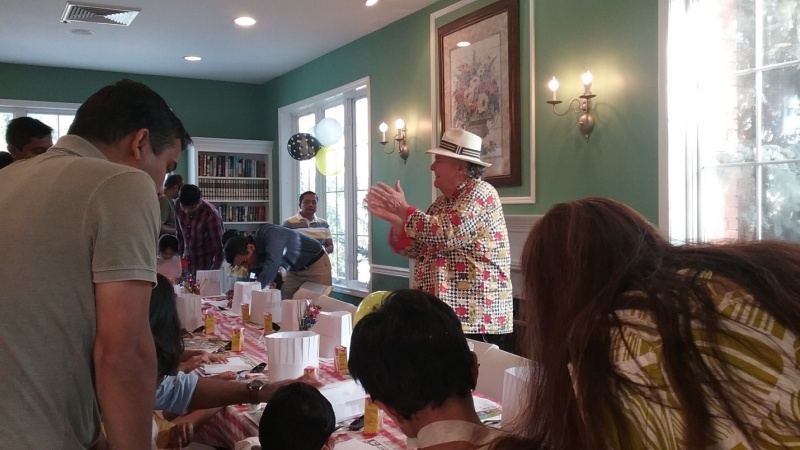 Happy Birthday Sing-a-long: Chef Carl will lead the children in a,”Happy Birthday “song. It’s Two Parties in One. 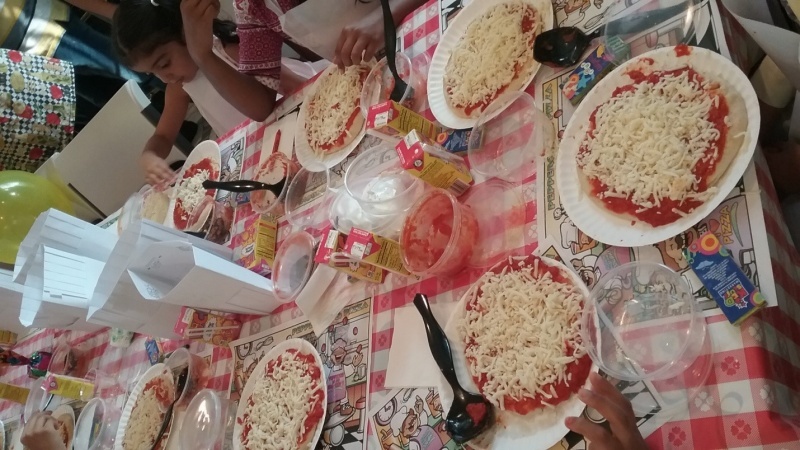 The,”Make A Pizza Party” plus an Ice Cream Social! Dressed like a chef: Each child will get to design (crayons) wear, and keep their own chef’s apron. Ice Cream Social: Each child will create their own ice cream sundae complete with toppings, syrup and whipped cream. And the birthday child with have a candle in his /her ice cream sundae as everyone sings,”Happy Birthday “. Goodie Bags: Chef Carl and the birthday child will present each guest with a pizza-themed goodie bag. A NOTE TO PARENTS: Parties #2 and #3 are all inclusive. 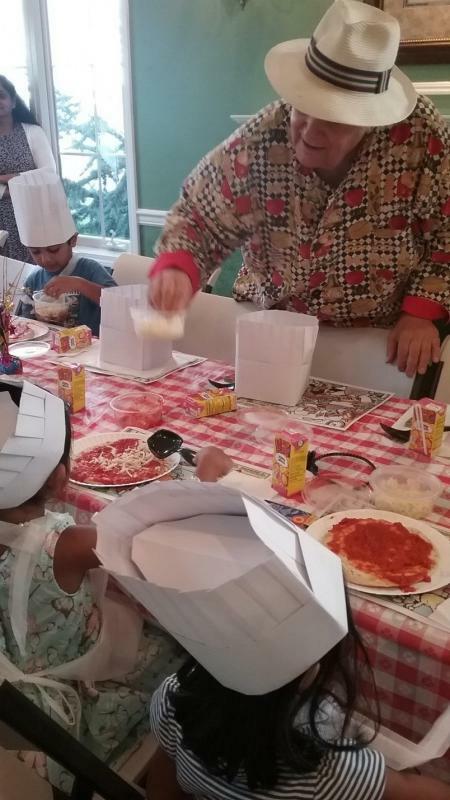 The children will eat the pizza they make and the juice drink and water that Chef Carl provides. The Ice Cream Sundae that the children make will substitute for a birthday cake. Children would much rather eat an ice cream sundae (especially one they prepared) than cake. And the pizza- themed goodie bag contains a gummy pizza, pizzeria game and a pizza designed cup . Chef Carl’s Crew will set up, serve and clean up the party. These unique parties will be the talk of the town by your children, friends and family. Chef Carl has a special place in his heart for Special Needs. Over the years he has performed many programs designed for Special Needs. He makes the program fun, easy, and yummy. These programs have been well received over the years and Chef Carl is asked to return year after year. Chef Carl has conducted many after-school programs. He adjusts the program to meet the needs of each school. 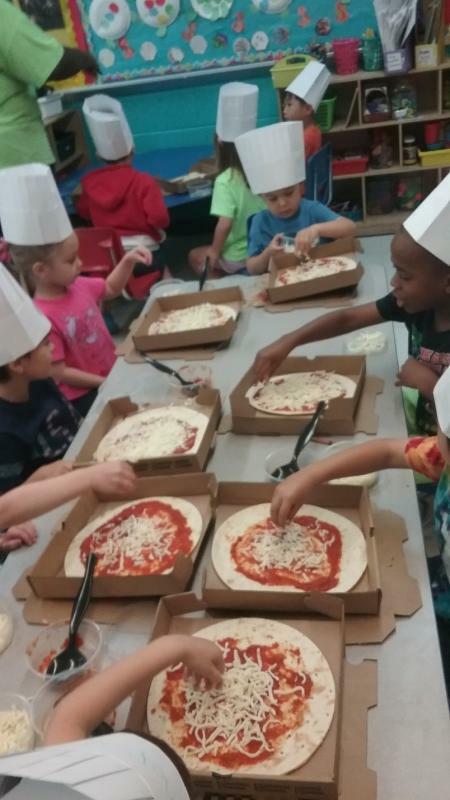 Whether the school prefers a conventional pizza or whole wheat pizza or conventional spaghetti and meatballs or whole wheat spaghetti and turkey meatballs the chef and his crew will make it a fun, educational and yummy experience. 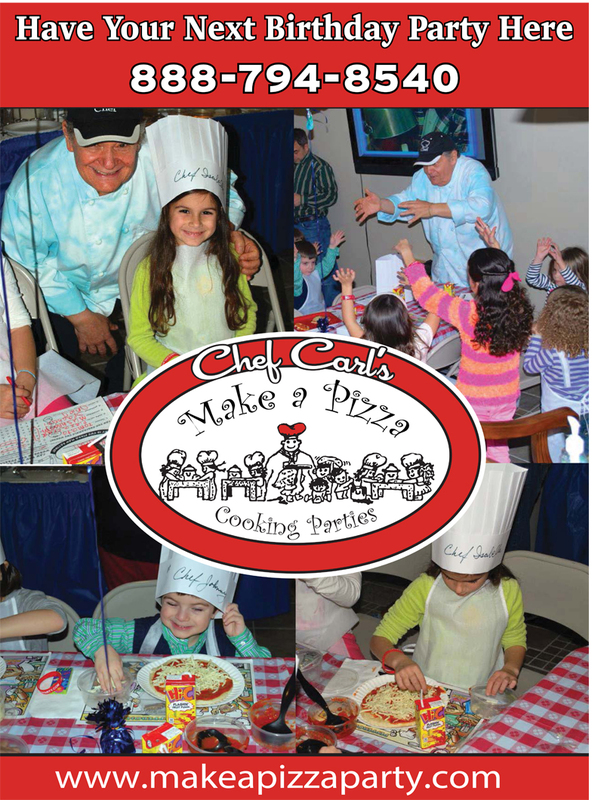 The children dress like chef’s .They all receive and keep chef hats and aprons .They prepare their food .Participate in magic tricks and the Pizza Dance They all receive applause from their fellow chefs when their walk up to get their diploma from ,”Chef Carl University. .